I hate to admit it, but I am the kind of mom that says yes to cookies for breakfast. Not everyday, but once in a while, if the kids ask me for a cookie, or a piece of cake, or whatever, I am more than happy to let them have it. You only live once, right? Recently, the kids and I had the opportunity to try BelVita Breakfast Biscuits. These Oats and Chocolate biscuits, are very much like a cookie. So good, that we ate a few as dessert one night! But, they are also a nutritious way to start your day, with ingredients like oats and rye, and tasty too! The BelVita Breakfast Biscuits are soft baked, with 11 grams of whole grains, 5 grams of fiber and B vitamins for energy. The Mixed Berry flavor is good too, though we really liked the chocolate. Who doesn't want chocolate for breakfast?? 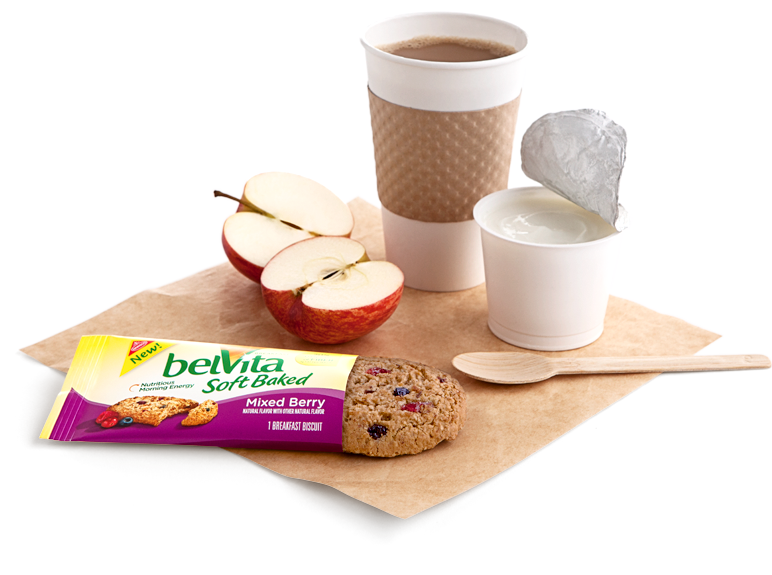 BelVita Breakfast Biscuits make the perfect breakfast when you pair them with a fresh fruit and yogurt. Such a great way to start the day! You can purchase BelVita Breakfast Biscuits in most major food stores. I found them in the cereal aisle.